Ramón Salazar’s astonishing two-hander keeps you guessing until the very end. Estranged families provide readymade templates for family dramas, but the brilliance of Spanish writer-director Ramón Salazar’s elegant “Sunday’s Illness” stems from its ability to avoid the easiest emotional pathways. Channeling the intimate melancholic notes of Fassbinder and the expressionistic melodrama of Douglas Sirk, this two-hander about a mother forced to confront the daughter she abandoned has a startling clarity to its ambitions. 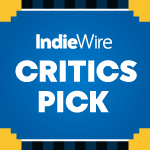 It’s a powerful look at the durability of parent-child bonds as well as a fascinating psychological thriller about what it takes to heal such a rift when it seems irreparable. Later, the women rendezvous in town, where Chiara presents Anabel with a cryptic plea: Spend 10 days with Chiara in her remote forest home, and then they can part ways for good. Lennie plays the younger woman with a mixture of eeriness and calm, making the full extent of her plans unclear until much later in the movie, which establishes an undercurrent of suspense upfront: As Anabel makes her way out to the woods, she’s uncertain whether she’s being led to reconciliation or slaughter. The mystery only deepens once the pair settles into the cabin, and “Sunday’s Illness” becomes a thrilling chamber piece about the challenges of rekindling a family bond that never existed in the first place. A broken, solitary woman with a history of drug addiction, Chiara drifts through the house like the ghostly recurrence of sins Anabel tried to bury long ago. But with time, and a few awkward physical altercations, the two women find some modicum of common ground. After an awful drunken night on the town and a showdown the next day, they manage to set some demons aside and form a measure of a connection, but it has ghoulish undertones all the same. Time and again, Chiara veers from outright resentment for her mother to a yearning for a better solution. In one astonishing scene, she angrily tosses a tea cup at her mother’s face; when it starts to bleed, the daughter dashes across the room to contain the wound. As Salazar frames Chiara with her hand across her mother’s forehead, the painterly composition has astounding connotations about the pain and uncertainties at the center of this tenuous mother-daughter dynamic. Needless to say, Salazar’s patient script provides a perfect template for the two actresses to deliver fascinating, full-bodied performances rich with feelings simmering beneath their serious faces. Lennie gives Chiara a punk attitude that masks the tender feelings she tries to contain in every scene, while Sánchez delivers a calculated, mesmerizing turn that implies years of experience coming into play. Both women get their own de facto dance numbers: Anabel drifts to the melodies of “Dream a Little Dream of Me” in an empty room, as if she’s lost in the gentle melodies of the past; Chiara, drunk and angry, unleashes her rage on the dance floor of a bar as “99 Red Balloons” becomes a kind of operatic climax to her despair. After a week, Anabel begins to realize there’s more to Chiara’s situation than she leads on, and the full nature of that plan comes into play only in the devastating final minutes. Salazar plots out the scenes leading up to this final confrontation with the storybook visuals of the forest greenery and the pale blue glow of nightfall, suggesting that the entire confrontation may as well exist within the confines of a dream. But whose? The masterstroke of “Sunday’s Illness” is the way it keeps us in suspense about what both women want, and the shocking finale is at once somber and cathartic for the way it completes a cycle of healing that initially felt impossible. Landing on Netflix a few months after its under-the-radar premiere at the Berlin International Film Festival, “Sunday’s Illness” just happens to come out while Ari Aster’s terrifying mother-son horror story “Hereditary” is making waves in theaters. The two movies have a lot in common. “Hereditary” generates its deepest fears from the legitimacy of its family struggles — after their household faces an unspeakable tragedy, it’s unclear if they will ever stabilize again. There’s a depth of fear stemming from their constant arguments almost as unsettling as the supernatural forces at work. “Sunday’s Illness” maintains a similar quality; it may as well be a horror movie in disguise. In its disquieting, deliberate pace and otherworldly imagery, it takes on a ghostly quality even though no actual spirits materialize. As the past haunts both women, they’re drawn together by a mutual need to exorcise their feelings. Sometimes, the scariest possibility comes from the most authentic place. “Sunday’s Illness” is now available on Netflix.